Earn $100 by referring people to Drupal Aid! Do you have an audience of small business owners using Drupal? Drupal Aid provides support, maintenance, and small fixes to Drupal users starting at $99 per site per month. As an affiliate, you will earn $100 commission for any referred customer who signs up for one of our plans. Rather than take our word for it, if you are successfully approved as an affiliate we will give you 1 free fix so you can try the service for yourself. That way you can happily promote your experience to your audience. We pay out referral commissions once the customer you referred has fulfilled their 3-month minimum term. Our affiliate system is based on customers signing up with a special coupon code that is assigned to you. If you sign up using the form below and are approved, you will be given a login to the system where you can grab promotional banners/links etc. Applications are strictly by approval only. 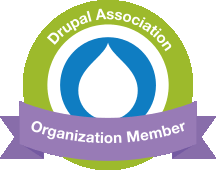 We don’t accept everyone and we are specifically looking for people with a decent audience of people who use Drupal. Here are the main reasons you might want to promote Drupal Aid. If you have an audience online you probably get asked Drupal questions all the time and you don’t have a reliable place to send your audience. Our customers love us so you know we will look after anyone you refer to us but if you aren’t sure you can try us out for free. It's easy to start earning big bucks. Imagine if you refer 10 customers, that gets you $1000! Put banners and links on your site (provided after you are approved). Notify your email list about the service and use an affiliate link. Test out the service and write a review on your site. We prefer promoting the service in a way that helps other people so we will support anything you can think of which achieves that. We don’t accept everyone as an affiliate. The process is to fill in the form below with as much detail as you can. From there, we will check out your site and decide if it’s a good fit. If it is, we will send you through the details. We only reply back if we decide to go ahead but you can always contact us if you want more feedback. If you wish to apply please fill in the form below, if you have any questions feel free to email us or chat to us below.